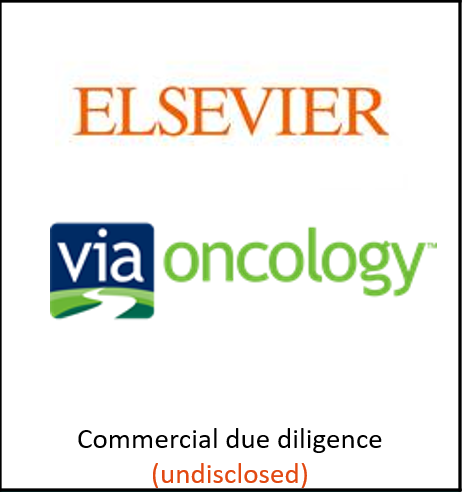 In another of this month’s highlighted deals, we congratulate Elsevier, the information analytics business specialising in science and health, on the announcement of its acquisition of Via Oncology. AMR International conducted the Commercial Due Diligence on this US-based company, a national leader in next-generation decision support tools and best practice in cancer care management. The CDD combined in-depth discussions with customers, vendors and market experts with desk research and data analysis, to form a view on the oncology pathways opportunity and the target’s growth potential.